Dan carved a whole month into a linoleum. During this time he put his head down and focused; we heard no sound coming from his corner. His task was to carve with a very fine woodcarving tool an image that mimics an engraving. 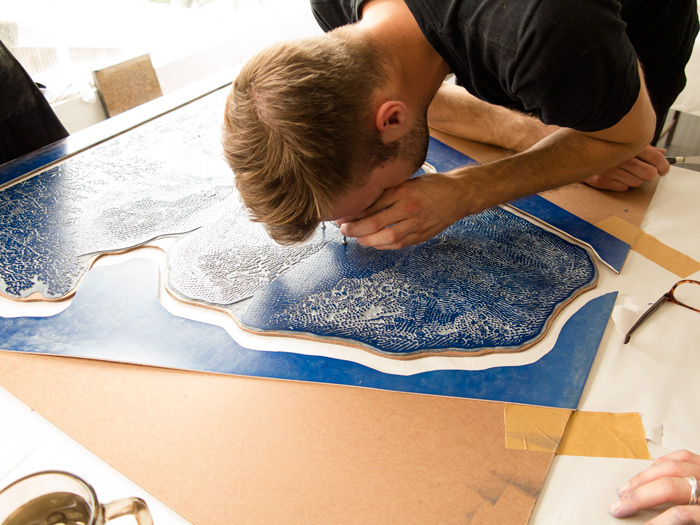 And, still thereafter the studio, with Dan, needed to do a lot of 'cleaning' to ensure the printed image has no 'noise' (minuscule peaks of lino that pick up ink while the printer inks the block).